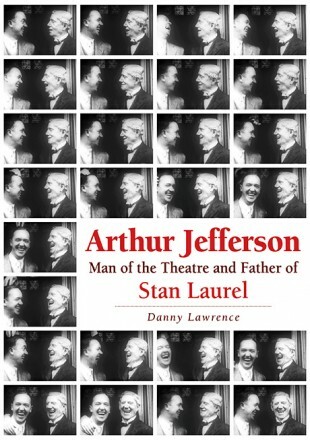 This first and ground-breaking biography of Arthur Jefferson, the father of Stan Laurel (the mastermind behind the legendary comedy partnership of Laurel and Hardy), reveals that he was a major influence on his son, a fine comic actor himself, a successful playwright, and an excellent example of the provincial theatrical lessees who provided Victorians and Edwardians with their main source of entertainment. It describes the ups and downs of his life, family and career and how, in middle age, he had to confront the challenge to the world of intimate, local, live theatre from the emerging global, silent and then sound cinema industry. Ironically, it was the success of films like those of Laurel and Hardy which all but destroyed the provincial theatrical world that Arthur loved. Danny Lawrence is a retired sociologist from the University of Nottingham. He was born and brought up in North Shields, just a few streets from where the Jeffersons lived during the rise and fall of Arthur’s theatrical empire, and where Arthur’s son Stan (Laurel) spent ten, crucial, formative years. Danny is also the author of The Making of Stan Laurel. Echoes of a British Boyhood (McFarland, 2011).